After Stan Lee and Roy Thomas it’s arguable that Marvel has employed no more successful and influential writer than Chris Claremont. 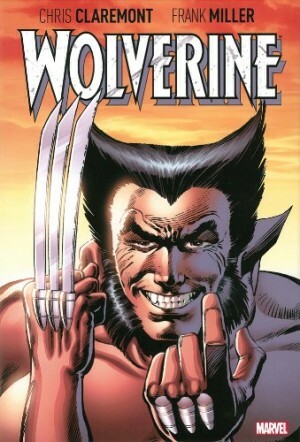 Transforming perennial bottom of the line also-rans the X-Men into the marketing phenomenon they became was an immense achievement, but his influence extended beyond that. He added a depth of personality to Lee’s jocular soap opera characterisation. His characters consistently question themselves and others, and we’re privy to their thoughts to a degree not previously seen in superhero comics. 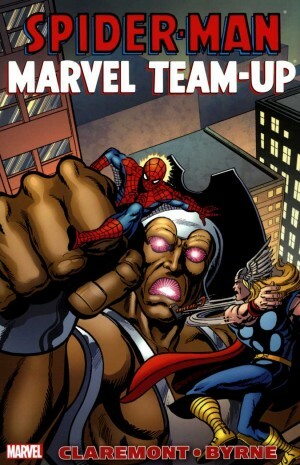 This is allied to strong plots, dramatically paced, the detail effectively foreshadowed, and a commitment to eradicating the gender and racial imbalances of superhero comics. Furthermore, when creator-owned material was either a dream or a sure way to the poor house, he introduced many characters still used today. A single element dates the material: Claremont’s use of thought balloons and what he fills them with. The former was hardly his fault. They’d been a common shorthand for decades before he wrote his first comic, but so many are utterly superfluous, and others overwrought self-reflection. Accept that, though, and this collection more than justifies Claremont’s inclusion in the visionaries pantheon, spanning thirty years (although there’s a ten year gap preceding the 2002 story concluding the book). Early in his career Claremont was fortunate in being introduced to the equally enthusiastic John Byrne, whose graphic style graced pretty well every Marvel comic at some stage during the 1970s and 1980s. Three collaborations are here. 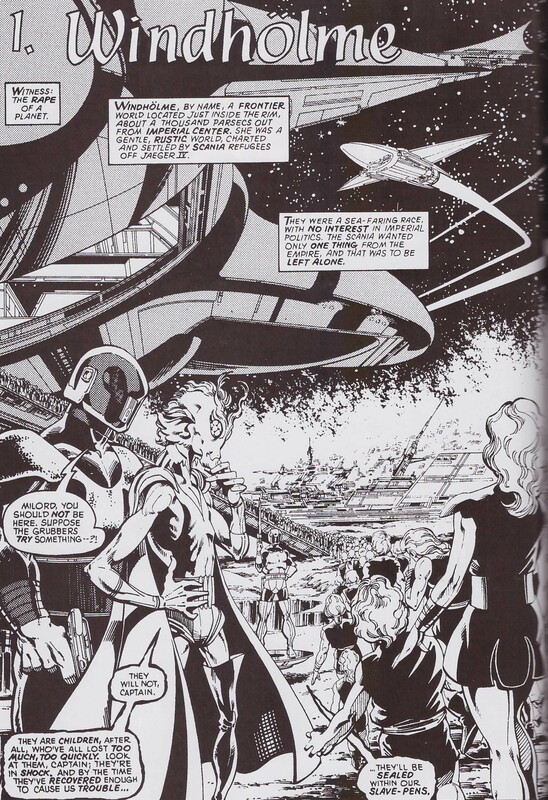 The death of Jean Grey and the introduction of Sabretooth are now both Marvel milestones, but the pair really shine on the space adventure of Star-Lord, presented in its original black and white format. Continuity revisions have now expunged this more serious and competent version of Peter Quill, but the story reads as if Claremont’s been waiting all his life to handle such material, and despite the odd wonky piece of anatomy Byrne’s fantastic layouts and detail carry the day. This is particularly when compared to a Michael Golden illustrated Avengers story introducing Rogue, much admired at the time. 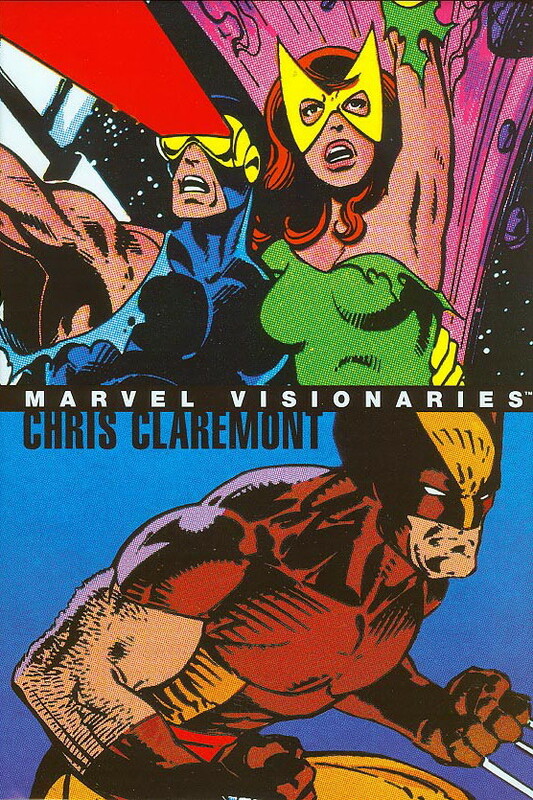 While the style is pleasant, it now seems cluttered and compressed, as Claremont addresses one of Marvel’s less than shining moments. The remainder of the book is a parade of artistic greats including John Bolton (with very muddy reproduction), Dave Cockrum, Salvador Larroca, and Frank Miller along with a rare 1970s pencil job from Syd Shores. Amid such greats it’s Bill Sienkiewicz who stands out by virtue of going that extra mile with an exceptional character design. The New Mutants holding a party doesn’t greatly interest him, but his alien life-form is an incredible miasma of constantly shifting scrap metal housing an intelligence. 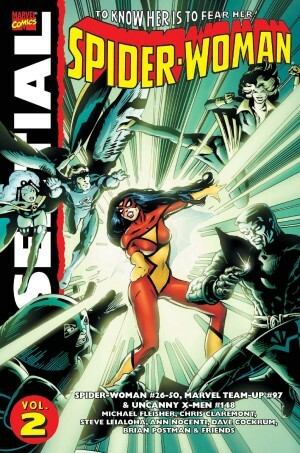 Within the superhero form there’s a great variety to Claremont’s work. We have fairy tales, straight superheroics, space opera, Magneto considering his Jewish background, wacky comedy, a twist on Casablanca, and out and out Wolverine savagery. From about the midway point, though, roughly 1984, there’s an excess of completely unrequired verbiage, as if the artists can’t be trusted to tell a story. This is despite the likes of Art Adams, Alan Davis, Jim Lee (not so good early in his career) and Barry Windsor-Smith illustrating. It drags down what are sound plots. Keep reading, though, because 2002’s Kitty Pryde solo is a tearjerking gem with none of the writing tics that diminished the previous material. Kitty is at college, contemplating her place in the world after the death of her father in an atrocity, and holding a silence in the face of anti-mutant bigotry. 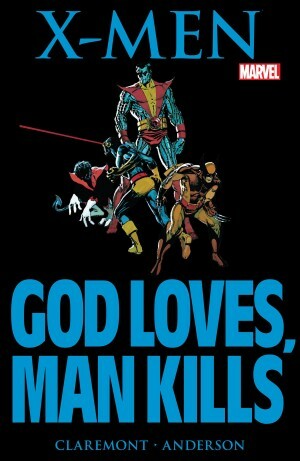 It’s a fine dramatic character study, and that’s always been Claremont’s strength.